Lime electric scooters on a sidewalk. Image via Flickr/user:Shinya Suzuki. (CCA-BY-2.0). Lime says it has the problem under control, but media sources speculate bad brakes could be a bigger problem than the scooter company wants to admit. Lime, a leader in the world of electric scooters, is cautioning riders to beware of firmware bugs and faulty brakes. While Lime says the bug occurred only in a few “very rare cases,” it did result in several rider injuries. Because of the danger posed by the glitch, Lime’s opted to patch defective units and ensure the rest of its stock remains trouble-free. Nevertheless, Lime is encouraging riders to err on the side of caution. To be safe, the company urges scooter-users to give brakes a “tight squeeze” before taking off. According to the company, its updates have reduced the number of braking ‘incidents’ significantly. In total, Lime says only 0.0045 percent of its branded scooters have encountered or reported unwanted braking. A Lime scooter in Balitmore. Along with competitors like Bird, Lime has expanded its presence across the United States and around the world. Image via Flickr/user:Elvert Barnes (username:perspective). (CCA-BY-2.0). But CBS News notes that Lime’s problems could have been more widespread than the company was willing to admit. In New Zealand, two cities were forced to temporarily ban Lime scooters after 155 “irregular braking” incidents were reported. Between Auckland and elsewhere, 30 people were injured by bugged-out scooters. Closer to home, Lime is facing several lawsuits resulting from erratic braking. Earlier in the month, a Texas man announced he was suing after being bucked from a scooter. The victim, writes CBS, was riding through downtown Austin when his Lime’s brakes allegedly locked, tossing the man onto the sidewalk and leaving him with a broken arm and strained shoulder. “The best way I could describe it is that in the blink of an eye both wheels were super-glued to the sidewalk, it was like a statue, and I was still moving,” the man told the American-Statesmanon Thursday. 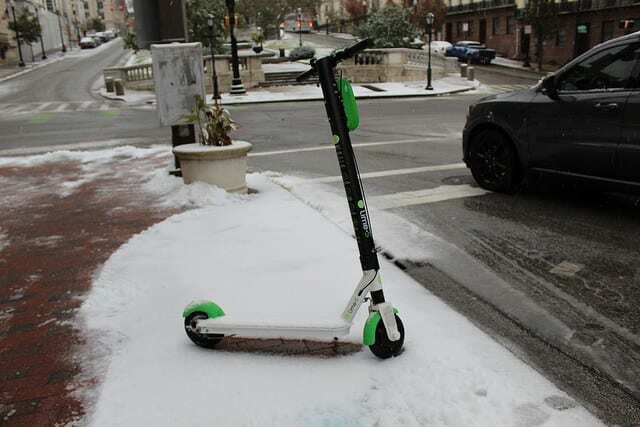 Lime was also forced to remove, replace and service thousands of scooters last summer, after reports began circulating of batteries catching fire. Companies like Lime, writes CBS, have grown rapidly in the past year. Along with competitor Bird, Lime has expanded its presence overseas, from Europe to Australia and quite a few places in between. Portrayed as last-mile transportation, bridging the gap between public transit and final destinations, electric scooters provide an economical and environmentally friendly alternative to personal vehicles.